It's just a matter of perspective! What would part-time psychologists do without glasses half-filled with water? 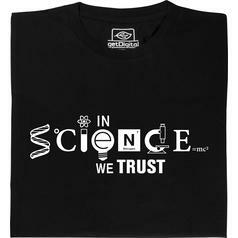 With the aid of the glass, they are able to categorise people into optimists and pessimists. As we know, the former think of the glass as half-full, the latter as half-empty. 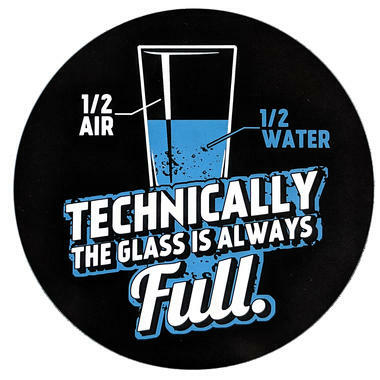 The "Technically, the Glass Is Always Full" Sticker offers a third possible interpretation: the glass is always full! Duh!! 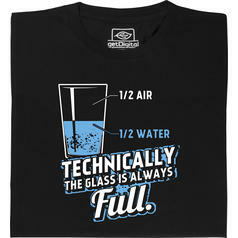 One half of it is filled with water, the other half with air! 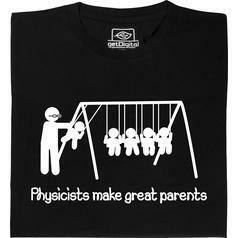 And trust us, that answer will stop hobby psychologists dead in their tracks! 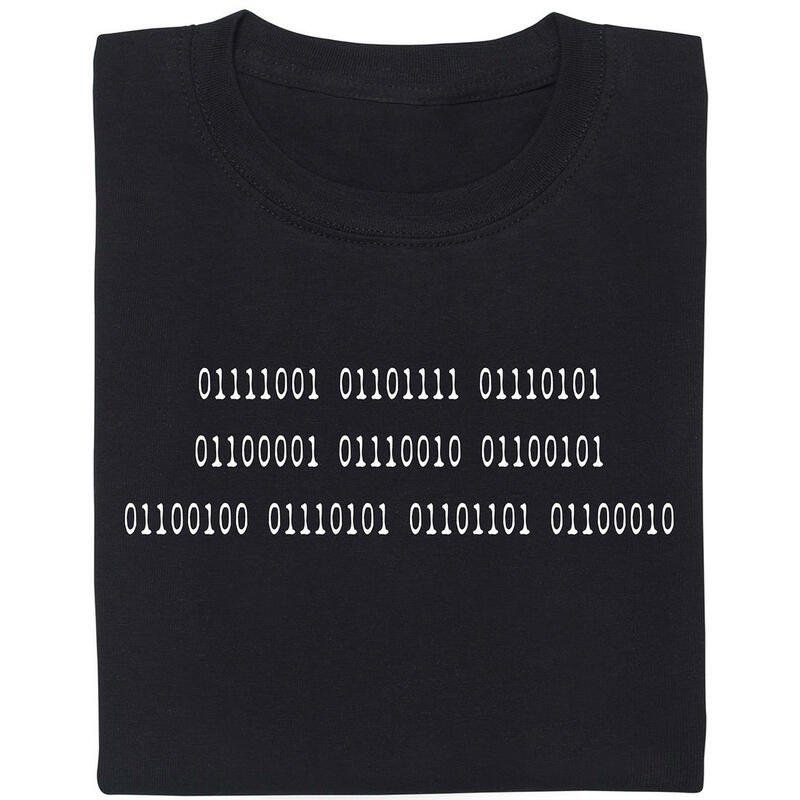 from 21,95 € lade... Fair Geek Wear Technically the glass is always full T-Shirt The answer to one of the hardest questions of all time is not 42! 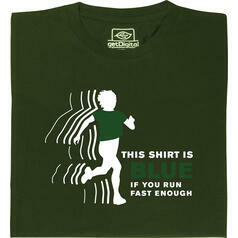 from 19,95 € lade... Fair Geek Wear This Shirt Is Blue T-Shirt If you run fast enough, this shirt could be blue.